It’s Official… I’m a Real Estate Agent! Beginning in August of 2014 I started working towards getting my real estate license by taking online classes. Due to my busy schedule I didn’t get very far so in early November, 2015 I enrolled in evening classes to complete all the required coursework in 5 weeks. It was a tough schedule on everybody since I was in class Monday through Thursday evenings from 6:30 to 10:30pm (and I’m a morning person!) and Saturdays from 9:00 to 1:00 for 5 weeks. I took the state licensing test on December 18th and I passed on the first attempt. It was such a relief to have that behind me! 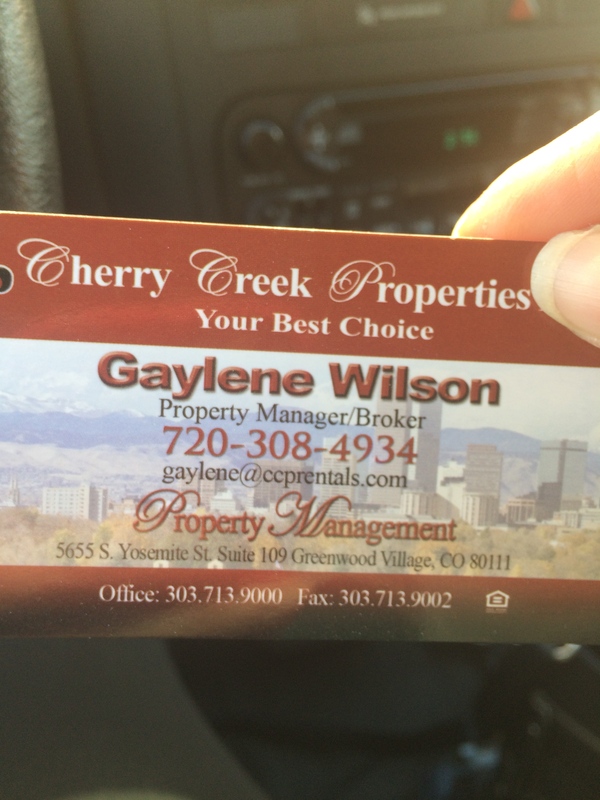 On March 2nd I hung my license with Cherry Creek Properties, Property Management Group. I have to work under another broker for 2 years before I am allowed to work on my own; even if my focus is property management. So, should you know of anyone looking for a Property Manager in the Denver Metro area please keep me in mind!